AMATEUR: Insanely easy. 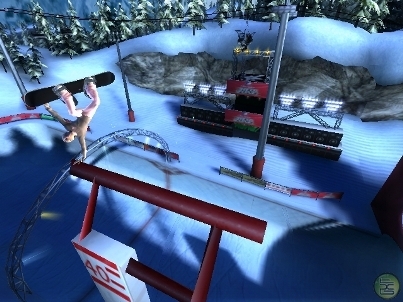 Even people new to SSX On Tour should find these events a cinch. 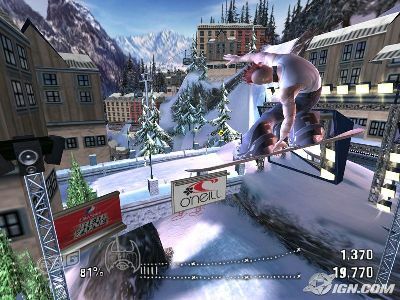 ROOKIE: Slightly more challenging, but anyone who's play SSX at least a few times shouldn't have any problems with these events. SEMI-PRO: These can try your patience at times, but they are not impossible. You may need to play events a few times and get used to tracks before you pass a few of these. You may also need to upgrade your equipment, skills and tricks before attempting them. PRO: This is where it starts getting difficult. 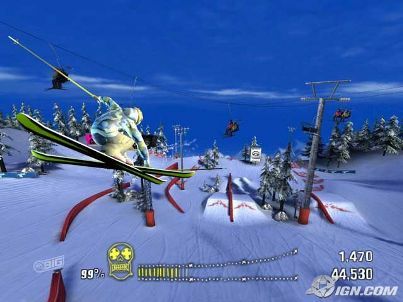 If you are just getting creamed on these, do some research in free ride and find out the best lines and places to jump - overall, just get used to the courses if you are having trouble. 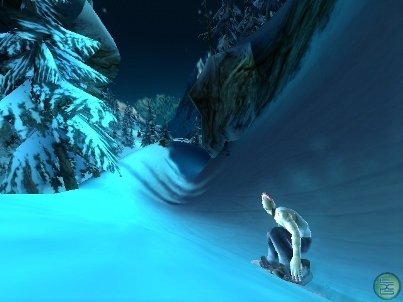 PRO-MASTER: Very challenging, even to people who play SSX 3 all the time. You may need to replay events for hours or even follow the computer around in events to find out what they are doing to beat you. Just be ready for an insane challenge. LEGEND: The most difficult challenges. You may have to play for hours on end and use every trick in the book to beat these. 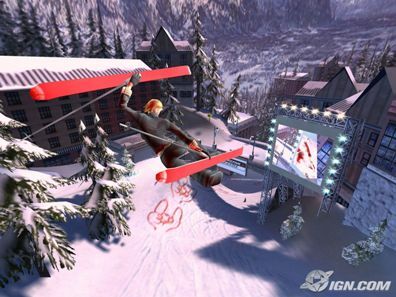 Many of these are challenging even for people who mastered SSX 3 and still played it up til the second SSX On Tour came out. Good luck! Here you can find all the various event listings for the 13 tracks in On Tour, including all the Medal Events and Shreds. What are Medal Events and Shreds you ask? 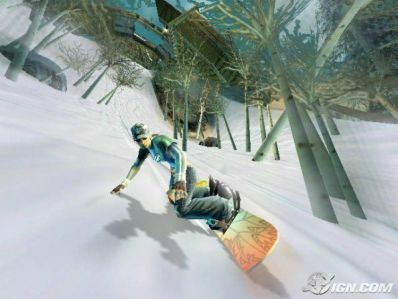 Shreds and Medal Events are the basic events in SSX On Tour, and knowing the difference is important in how you progress in the game. If you do not select an event within a certain amount of time, it will disappear from the map screen and will reappear later. It is very common to still be playing Amateur and Rookie events after you have reached Legend Status. If you can't find an event you're looking for, play some other events and it should appear on the map screen sooner or later. 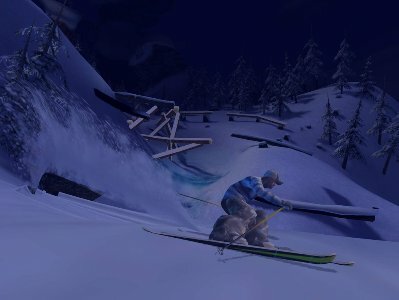 SHREDS are sort of like the BIG Challenges from SSX 3, in that they involve a wide variety of requirement-based missions, most of which are not the typical "score the most points" or "race the fastest time" type challenges. These are things like "Get 60 seconds of Air" or "Grind Certain Rails", and you must do these specific actions before you can pass the Shred. Sometimes they will have time limits or point requirements, other times they will not. Most Shreds are pass/fail, there is no "coming in second" on shreds, you either pass them or you start them over until you fulfill the requirement. Often times your only reward for fulfilling the Shred will be hype which will raise you higher in ranking on the Tour. 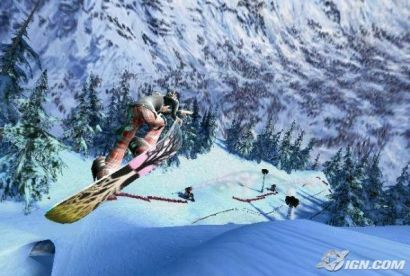 MEDAL EVENTS are the typical SSX classic events like Slopestyle or Racing. There will be opponenets for you to race or a point total to beat in the event and you will be given a place from 1-8. Some events require you to place in the top 4 to move on, others in 1st place. Each event will list the requirement to "get gold" (1st Place) on the event. There are six basic levels of challenge on all events. 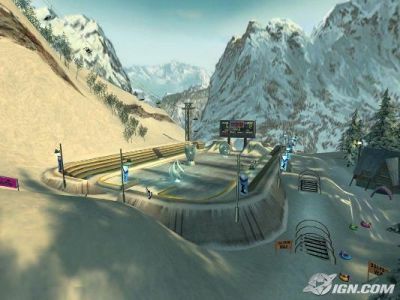 The difficulty level in SSX On Tour makes a VERY quick rise from outrageously easy to insanely difficult very quickly after you reach Pro-Master level. Keep this in mind if you haven't played the game yet. Nothing is nicer than off piste through these trees. Everything is natural in this run, from the rails to the starting gates. BTS has got some sweet photo opertunities and whats more an out of the way natural half pipe for when you just want to chill. A steep, tight and twisty couloir that open out through the logging yards. And when you think that the first section was insane you come across the cracking frozen lake. What’s more we’re not done yet, the final set piece of this run is the resorts biggest air, off a dam!!! This run is as high as the lifts go. From here on up its heliskiing country. A combination of natural and man made make this wide run one that can be taken differently every time you go down. it’s the base for both helicopters and piste bashers so look out for machinarty on the way down. The biggest challenge here is grinding the entirety of the run with out touching the snow. After all that hard work you might be thirsty, Luckily there is a bar placed right at the bottom. Popular and tree filled, this semi pisted run has plenty of everything, including a sweet gap jump over a frozen waterfall. Just watch out, the ice melts at the half banked log, oh and those tree stumps halfway down can do you some serious injury. One mystery remains, where does the cave behind the start arena lead? Is it where the Yeti lives? 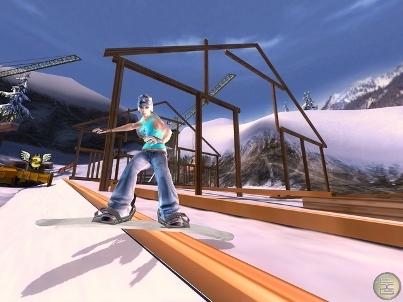 The resorts snow park. Needles to say it has a few jumps, adverts, rails and a sick double layered half pipe. You should check it out. This glacier is the highest you can go on the west side of the mountain. A series of track and off piste sections lead you down this icy area. Staring with a jump through the cable car the middle section has several crevasses with a huge jump through the clouds at the end of the run. As the name suggests this sometimes horrible run has plenty of Birch trees. With on and off piste sections there are nice and nasty moments to be had. With a rout choice to be made right at the beginning no race is ever the same. Later on is an icy gully that shoots you out into a section littered with trees, if you make it through here there is a set of small cliff jumps to contend with just before the finish line. The main track follows an old luge run down the mountain. There is a small off-piste section in the middle ending with a large spine. The last section of this immense run is a ski jump into the old wooden arena which is now used for rock concerts. Can you relight the Olympic flame? As the name implies this is the beginners area of the resort. This track has it all. The nursery slope, a small half pipe, two choices of BX path, the tube track, a waxing machine, the local ice rink and most importantly a cafe where you can grace the case. This piste winds its way down million ridge. Here are the more luxurious chalets some yet to be built, and all ready for you to shred over under and through them. After the village you blast past the Highway and through the finish. After that a steep, narrow gully leads youto the resort. Here is the official boarder cross course. Filled to the brim with burms and jumps you need plus a few shortcuts. 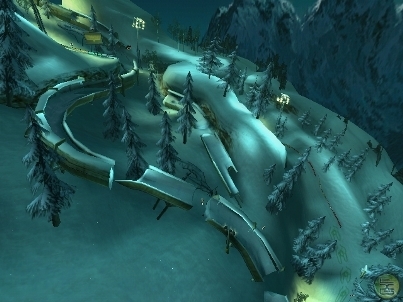 This track has a multitude of paths including the ski wreaking choice of sliding your way down the twisty alpine road. With on and off piste it is also possible to find some nice powder and every ones favourite, an icy banked turn. 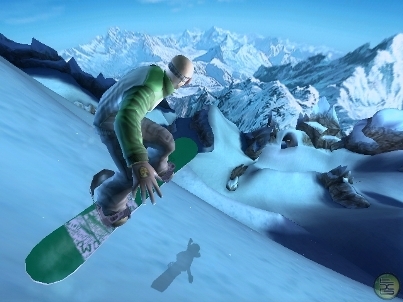 This track also features one of the best start sequences in the ski-able area, an en mass double grind. 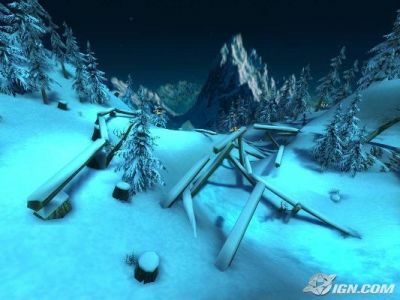 A fast adrenaline filled track from the start, the huge drop off sets you up for a twisting struggle through the resort town of Powder Keg (If you believe the road signs). Jumping over frozen rivers, roads, trees and even the local radio station you have to be on top form to win here.